Simply the best booth you can hire for your event. We’re The Photobooth Company. 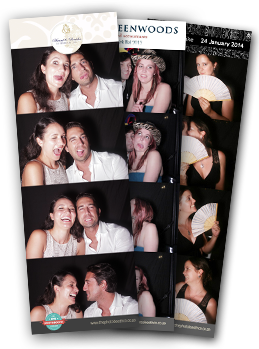 We do photobooth rentals for weddings and events in Stellenbosch, Cape Town and beyond. Awesome experiences is what we do! There's no limit on how many photostrips you can print. Use the booth as many times as you possibly can - more memories for you and your guests to take home! Our competitors seem to think photobooths are fun without props, and charge extra for them. We know better! We include awesome props in all our packages. We'll design personalised photostrips to fit in with your event theme or your wedding stationary, making sure your photostrips are awesome keepsakes. We know events get expensive. Heck, you’re probably already over budget! That’s why we give you an awesome experience starting at only R2999! Our wedding was INCREDIBLE and there were queues for the photo booth! !